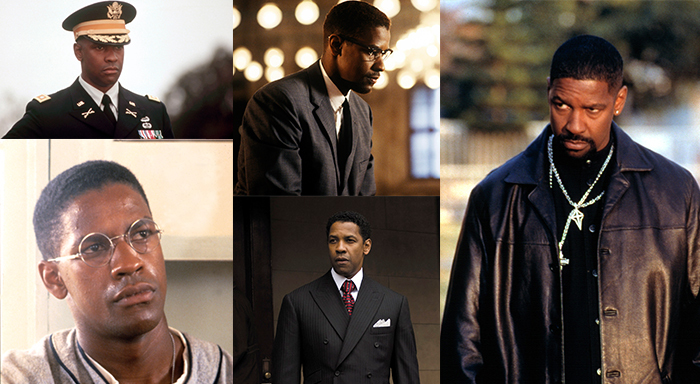 Denzel Washington is a man of many mysteries. He has had a great history in creating some of the best intense movies ever created. Denzel Hayes Washington Jr. is an American actor, director, and producer. He has received three Golden Globe awards, a Tony Award, and two Academy Awards. The Wrap-Up Magazine has joined teams with Entertainment News in presenting you the best from Denzel Washington. Take a look at the Top 5 movies chosen as the best of his career. Leave a comment below on your thoughts about which movies was chosen. Now you know I was going to choose American Gangster first! The film is fictionally based on the criminal career of Frank Lucas, a gangster from La Grange, North Carolina who smuggled heroin into the United States on American service planes returning from the Vietnam War. It was not hard to figure out which movie was going to come next. Training Day is a 2001 American crime thriller film directed by Antoine Fuqua, and written by David Ayer. Denzel Washington and Ethan Hawke star as two LAPD narcotics officers over a 12-hour period in the gang-ridden neighborhoods of the LAPD Rampart Division and South Central Los Angeles. On Denzel's motivational movies. During our investigation into the Remember the Titans true story, we confirmed that Titan quarterback Ronnie Bass did come from California. Boxing at it's best. The Hurricane is a 1999 American biographical sports drama film directed and produced by Norman Jewison.The film stars Denzel Washington as Rubin "The Hurricane" Carter, a former middleweight boxer who was wrongly convicted for a triple murder in a bar in Paterson, New Jersey. Critis say The Equalizer 2 has been a smash hit. The Equalizer is a 2014 American vigilante action thriller film directed by Antoine Fuqua, loosely based on the 1980s TV series of the same name.It stars Denzel Washington, Marton Csokas, Chloë Grace Moretz, David Harbour, Bill Pullman and Melissa Leo. We at The Wrap-Up Magazine want to thank you for taking the time to enjoy this article. We hope Denzel has inspired you the way he has us. Be sure to have a look at all of our Top 5's.